The nose is a complex part of the facial anatomy with numerous structures.The surface of the human nose consists of a frontal portion comprised of the glabella, nasion, alar sidewalls and tip points; a basal portion made up of the columella, nostrils, soft tissues and infra tip lobule; and two other portions. 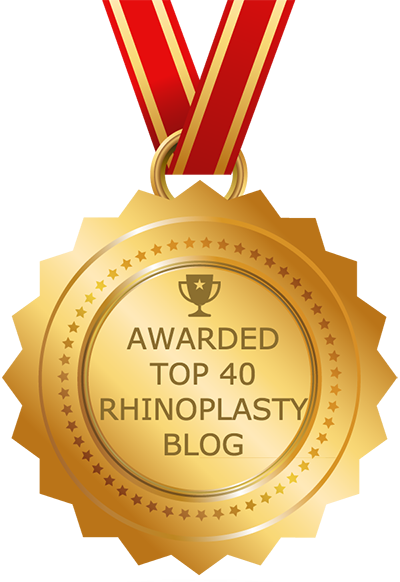 Rhinoplasty is derived from the Greek words rhinos (nose) and plassein (shape), but traces traced to 500 b.c. India. There, a surgeon named Sushruta and his students purportedly developed the procedure while attempting to reconstruct noses amputated as punishment for crimes. The website of the American Academy of Facial Plastic and Reconstructive Surgery (AAFPRS) is a good place for patients to begin their search for a rhinoplasty surgeon. This website’s MD finder allows prospective patients to locate a board certified facial plastic surgeon in their area. During your rhinoplasty consultation, the surgeon’s experience, training, board certifications, experience with various techniques and other factors will be discussed. The consultation is also a good opportunity for you to show the surgeon pictures of noses you like. The cost of rhinoplasty surgery in New York can vary widely depending on the surgeon’s location and his or her experience and qualifications. Rhinoplasty costs more in urban areas and on the east and west coasts.Choosing a surgeon who offers discount rates often leads to higher costs in the end. What To Do Before Getting A Rhinoplasty? It is important that smokers quit smoking far in advance of their surgery. Prior to the initial rhinoplasty consultation, patients should gather all of their prescription medications, over-the-counter products and supplements so that the surgeon can review and discuss them, and make sure that the patient eliminates any of them that may pose a danger to their health in conjunction with nose surgery. On the day of your rhinoplasty surgery there are a number of steps you can do to ease your concerns and properly prepare yourself for the experience. The most important thing is to follow your surgeon’s pre-operative guidelines and voice any concerns you may have. By following the following guidelines, you should be fully prepared for your surgery. For the first 24 hours after rhinoplasty surgery it is normal to experience nausea and/or vomiting. Each patient heals differently, but one thing all patients will experience is swelling. This is controlled using cold compresses and, possibly, medication. Also keep your head elevated for a few days. Major complications from rhinoplasty are rare, but it is a complex procedure, so it is not uncommon to experience some side effects. It is extremely important to avoid bumping or traumatizing your nose in any way during the recovery period, as it may require secondary surgery to repair the damage. Rhinoplasty is one of the more complicated plastic surgeries and as such, you may have a lot of questions. We have assembled some frequently asked questions regarding the rhinoplasty surgery and things pertaining to it.